Thanks to Ed Brayton at Dispatches from the Culture Wars, we now know of an endless source of amusement ... endless because there is hardly anything that O'Reilly can't explain. 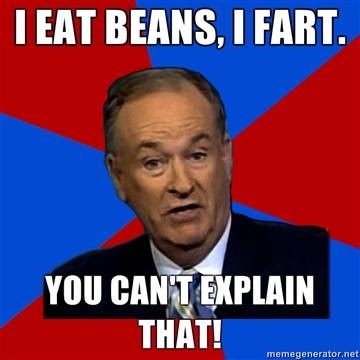 ...there is hardly anything that O'Reilly can't explain. No, the sum total of things O'Reilly can't explain (and, therefore, assumes no one else can) is almost everything. You've equated "hardly anything" and "almost everything" since you've equated both to what O'Reilly can't explain. Or is equality not transitive over the set of what O'Reilly can't explain? Once you account for all of the things that O'Reilly can't explain, then there is hardly anything left. In other words, there is hardly anything left over from the set of all things that O'Reilly can't explain. I simply respect your article on Blogger: Thoughts in a Haystack & I will be back again.